The Director-General of Voice of Nigeria (VON) and chieftain of the governing All Progressives Congress (APC), Osita Okechukwu, has reacted the insistence of the ex-Nigeria Vice President and the Peoples Democratic Party Presidential candidate, Alhaji Atiku Abubakar to challenge the outcome of the just concluded 2019 presidential election. We had reported on Monday evening, that the opposition Peoples Democratic Party (PDP) presidential candidate, Atiku Abubakar and his party (PDP) had finally filed a petition challenging Buhari’s re-election. 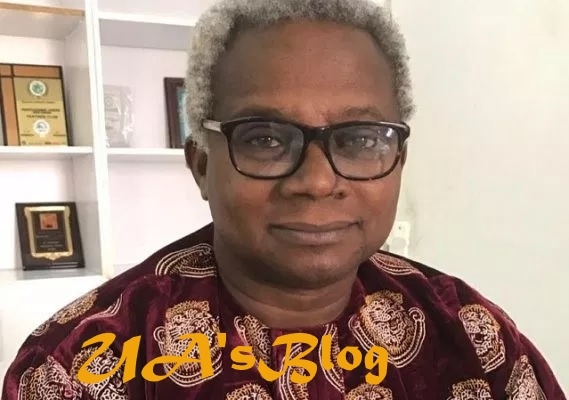 But speaking on Tuesday morning, Okechukwu said, “I think that His Excellency, Atiku Abubakar should recall that Mr. President has a treasured vote bank of 12 million voters that first surfaced in his first entry into a presidential election in 2003 and resurfaced in 2007, 2011, 2015 and 2019. “So, the vote bank cannot be eroded by any legal technicalities. The vote bank President Buhari has, is a treasure, it is incontrovertible. There is no legal entity that could pull it down. It is good that he (Atiku) went to court, because, court is one of the processes that democracy has laid down.